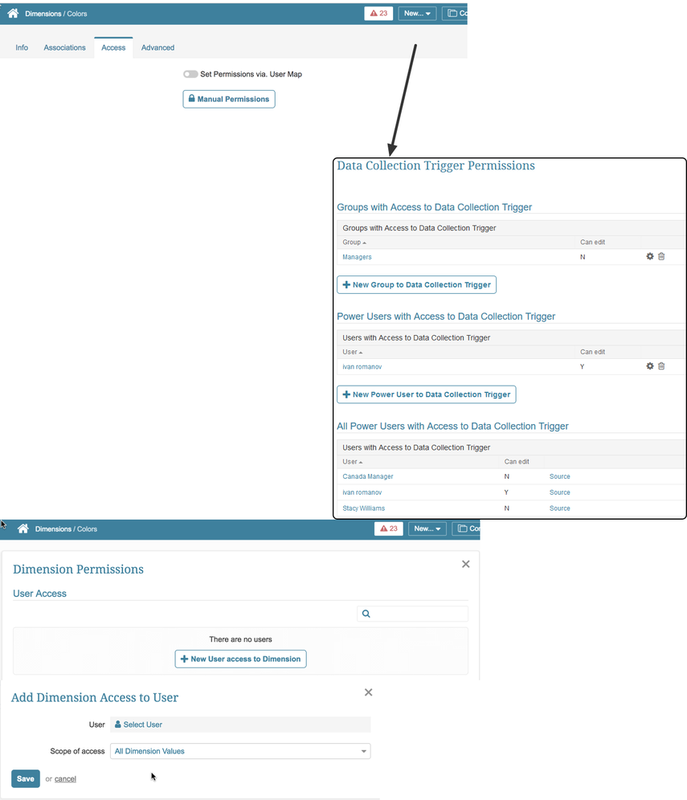 Power Users have the implicit Privilege to Create Dimensions. When they create a Dimension, they automatically receive Edit Access to that Dimension. 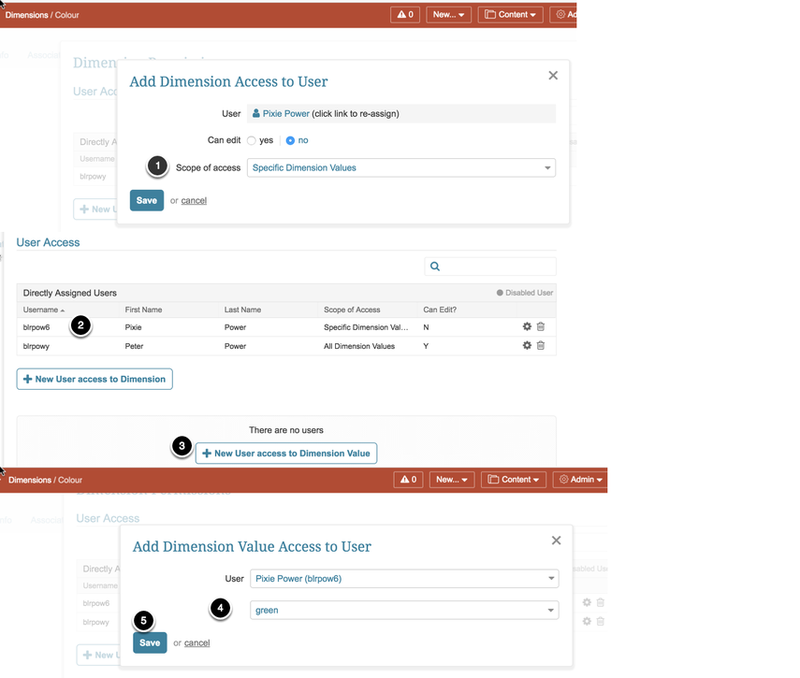 For Power Users, Security is designed to have both an expanded Security Privileges for Dimensions and Permissions to a specific Dimension. Every Power User has the implicit Privilege to Create Dimensions, and the Privilege cannot be manually added or deleted. 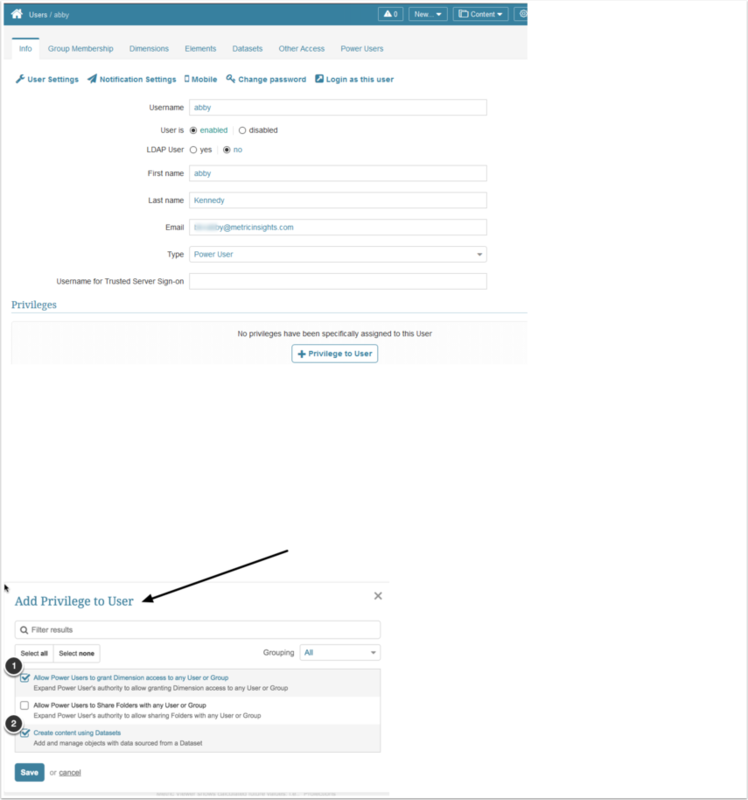 There is one Dimension Privilege and one Dataset Privilege that can only be assigned to Power Users or inherited from the Group(s) to which a Power User belongs. 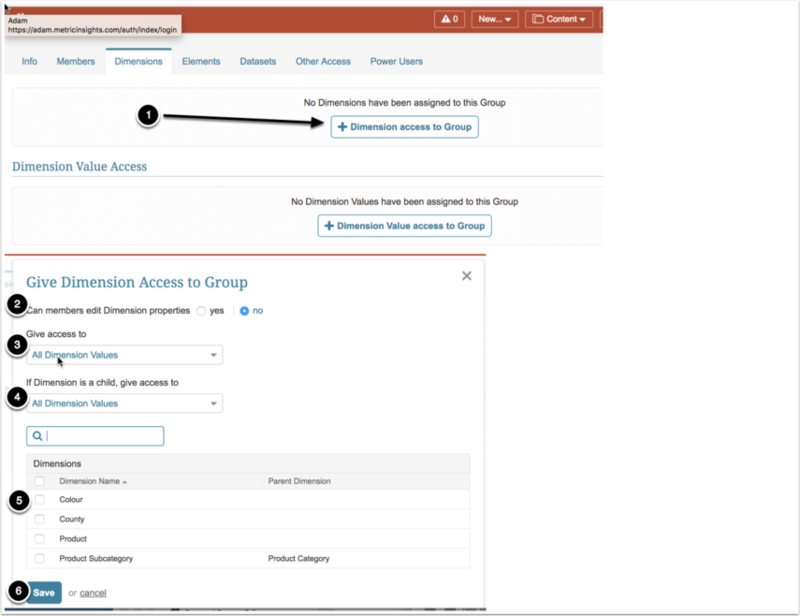 Permissions may be granted via the Dimension Editor, Group Editor or individual User Editor (Admin only). NOTE: If Selected Dimension Values option was selected, continue to add Dimension Values via the popup. 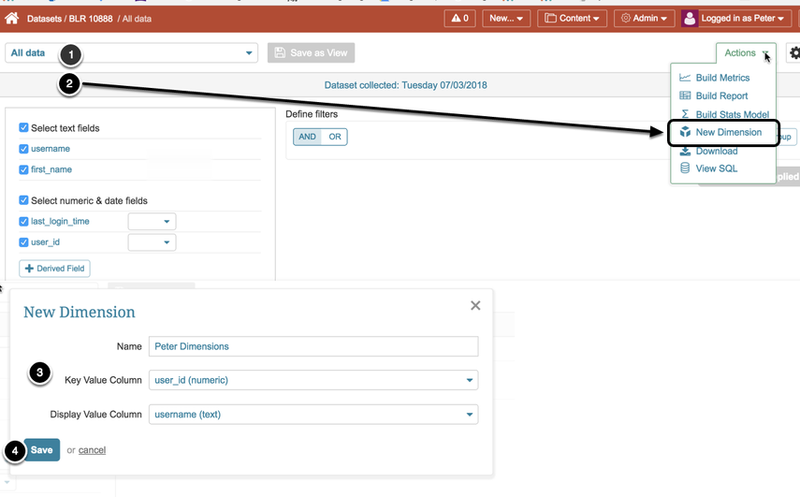 If a PU is able to open a new or existing element's editor, the PU can assign Dimensions to which the PU has Edit Access. 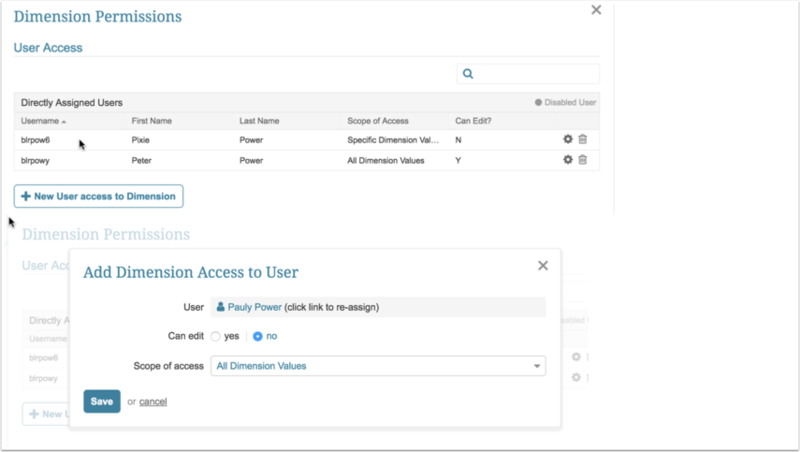 PU can create a Dimension from a Dataset Viewer if they have the following Privileges and Permissions.